Update: While this recipe is incredible, I have updated, simplified and made the cheese meltier in a new version, Smoked Cococut Gouda part deux. I’ve been making vegan cashew cheez for a while now, but ever since Vegan Richa made some incredible looking coconut mozzarella I’ve had a serious cheez itch that wouldn’t go away until it was scratched. My favorite cheese of all time before going vegan was smoked gouda. I needed a counterpart that would melt, stretch, slice, grate, and pair well with crackers or pizza and anything else I wanted to do with it. One of the failed batches. They tasted good, but weren’t the perfect texture. 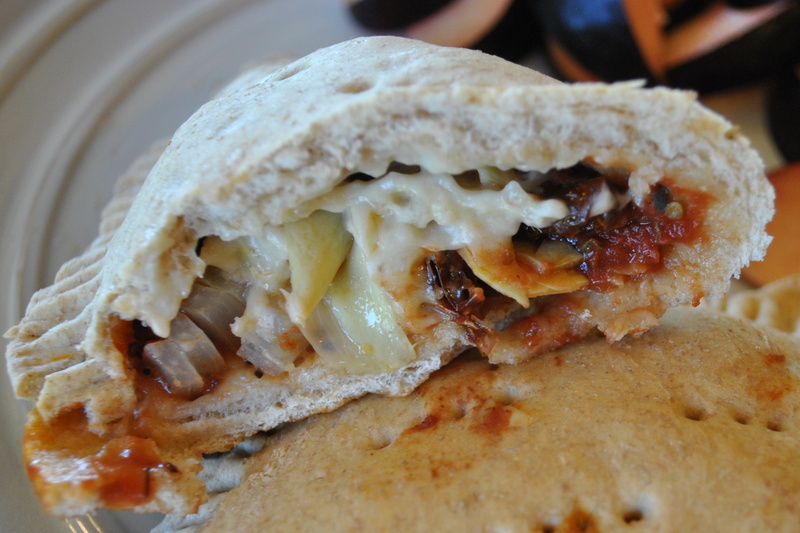 We used them up in pizzas, mac & cheez, grilled cheez sandwiches, quesadillas, soups and more. You can find many or all the ingredients necessary to make this cheez at Whole Foods or your local health food store. If all else fails, try Amazon. Read through this before you get started and have everything set up and ready to go before commencing cheez making. Speed is essential when creating cheez. Method: Blend coconut milk, water, agar powder, pectin, liquid smoke, salt, vegemite (or substitutes above), and nutritional yeast until fully combined in your blender. Heat this mixture in a small saucepan over medium high heat, stirring constantly, until it all comes to a boil. Reduce heat to medium (still boiling) and continue to stir for 5 more minutes. Remove from heat. Have your tapioca starch, potato starch and xanthan gum mixed all together in a small container. This is your powder mixture. Quickly and carefully pour hot cheez mixture into your power blender or food processor. Add your powder mixture from above and promptly process until thick, scraping down sides if necessary. Immediately pour into a lightly oiled container and use a silicone (or other) spatula to scrape it out. I used a small round glass container, but an 8 or 9 inch round pie or cake tin like Kristy at Keepin’ it Kind used in this cheez recipe would also be fantastic and possibly allow for faster setting. Put the uncovered Smoked Coconut Gouda in the fridge. Allow to set up for an hour or two. Turn out onto a plate and leave uncovered for an additional 5 hours or overnight in the fridge. The cheez gets firmer the longer it sets. Once firm, store the cheez in a covered container and use or freeze within the week. This stuff makes me MELT AND SWOON! The best bit? 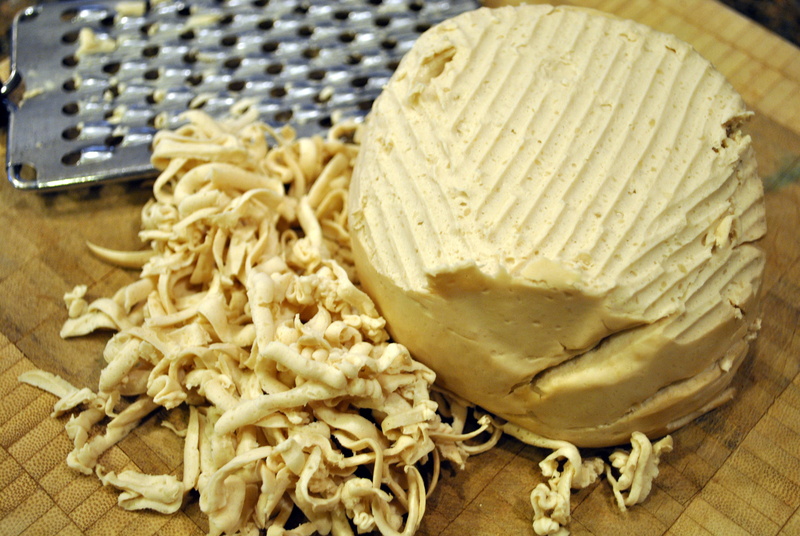 Once you invest in ingredients for making vegan cheez, it’s incredibly affordable. 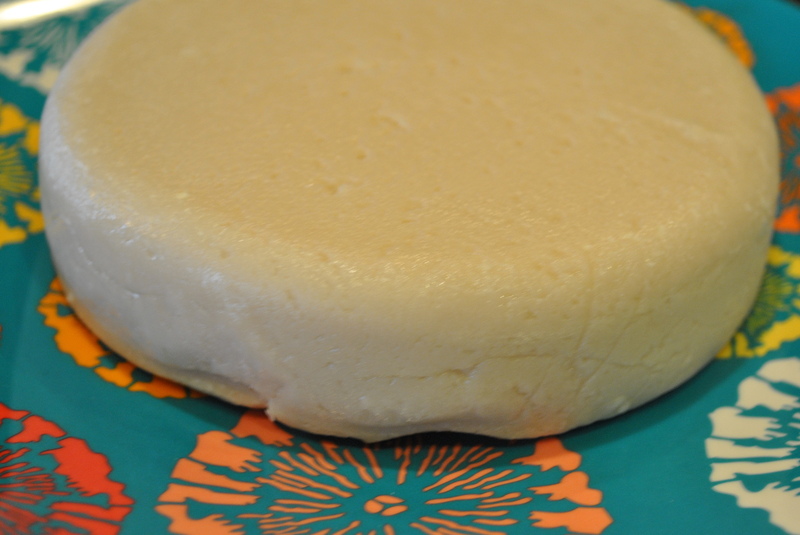 One pound of this homemade vegan cheez costs less than $5 bucks a pound. Daiya and other commercial vegan cheezes cost about $12 a pound. This is an absolutely fantastic recipe! I used hickory liquid smoke, Light soy (didn’t have Worcestershire, vegemite or marmite), and used about 4.5 T of agar flakes (no agar powder). I have dairy allergies and really missed cheese but this has made me so happy again, it really tastes like cheese! It even melts like cheese! Yeehaw! I’m so glad you love it! Thanks so much for commenting and letting me know! …so leave it out if you don’t want to eat it…. AMAZING!!! 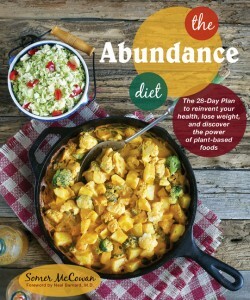 Even my non-vegan husband is crazy about this stuff! YUM! Hi Somer! I am about to make this delish sounding recipe, but am wondering what to do (if anything) with the calcium packet in the Pomona’s Pectin box? I read every comment to see if it was already answered, and I guess I’m the only one wondering that… I can’t wait to get started as I’ve been waiting already for a couple of weeks!!! It sounds SOOOOO amazing!!!! Thanks for sharing! Well, I was too impatient to wait for a reply, so my Gouda is counting down its first 2 hours in the fridge! I took a bit scraped from the blender in to my daughter to try and she looked at me with a puzzled look and said, “it tastes like Gouda!” and when I said that was what it was, her face just lit up and she said, “it tastes just like it!! !” Happy dance!!! Her favorite cheese! I hadn’t had smoked Gouda in almost a decade, so I was glad we had it spot on!!! She is vegan again, but ventured back into cheeses while on the East coast a few years back. I am so excited for it to be “ready”!!! But I will try to contain myself, LOL! 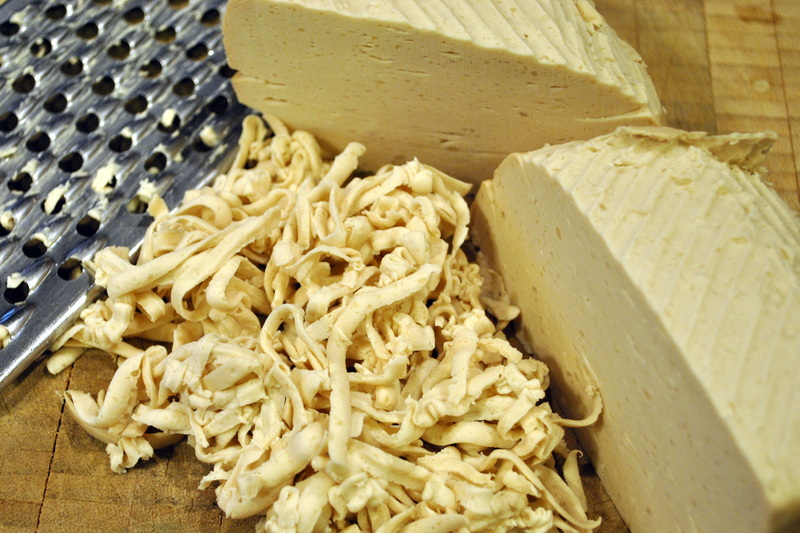 This is seriously one of the best vegan cheese recipes I have encountered! I had a can of coconut milk so I made this two days ago and we started eating it yesterday. This may be the best tasting of any cheese I’ve ever had, thank you! Today I went shopping so I can make more. The store has coconut milk in three or four differently sized cans. So what size can is yours? Perhaps I used the wrong amount and the cheese could be even better if I correct the amount. Thanks, mine have been 14 oz. which seem to work fine. They also have 19 oz and 1 liter sizes. 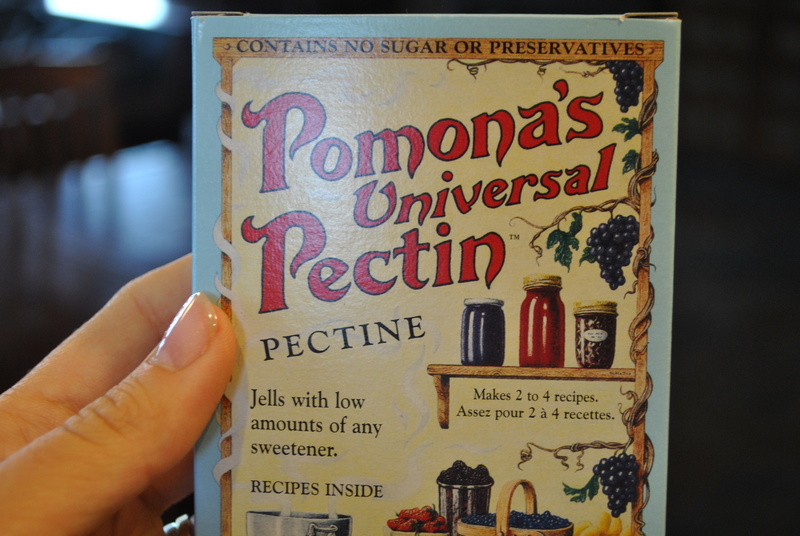 The pectin comes with a packet of calcium – do you use this in the recipe? It is not mentioned, but I thought this was important to activate the pectin. Please advise – I am eager to make this!!!! Thank you for your recipe. I will try it. I have a niece that has mayor allergies to dairy, nuts, and eggs. Please, could you let me know where do I add the lemon. If I’m not mistaken you forgot to mention it in the instructions. I tried to see if someone commented about it, but you have so many replies! I really appreciate your response. ops! I just found it now. Sorry ha ha ha. Add the lemon juice with the coconut milk. I tried this recipe and gave to friends and family to taste. They love it! Thanks!!! So happy I can now enjoy dairy free cheese!! does it have a coconut taste from the coconut milk? Just a slight coconut taste. I’ve never noticed any coconut taste. Just try it and see for yourself! Pingback: Green Goddess Gouda Cheese and Vegan St. Patrick’s Day Round up. Full fat coconut milk is just the regular can (eg what I can get at Trader Joes) that says coconut milk? 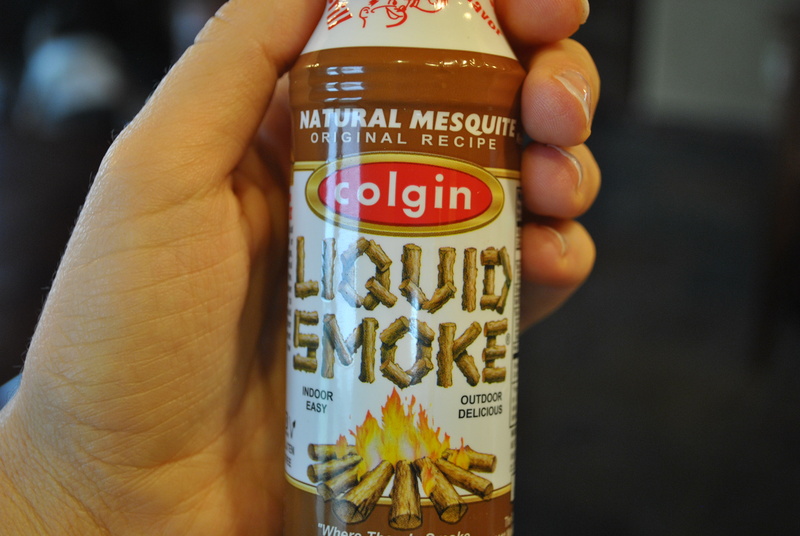 Personally, I think Wright’s liquid smoke is much better tasting than Colgin’s and I’ve used both if that helps anyone. Please update recipe to say “15 oz can” Thanks! Hi! I have some questions about the measurements. Can you tell me what is T, t, (tablespoon and teaspoon maybe?) and how many milliliter is a cup you used? Thanks! Can psyllium powder be substituted for the xanthan? Can I use miso instead of vegemite, marmite or vegan Worcestershire sauce? Having already asked whether psyllium powder can be substituted for xanthan and your answer of a definite no, should I just leave it out. What does the xanthan do for the cheese? Thanks. Miso would be fine. Xanthan is a thickener, like psyllium, and now that I’ve thought harder about it, it might not be a bad idea, I cannot guarantee results though. Sorry – I forgot. Can this cheese be frozen? I do not have access to Pomona here ( I am in Oz for work currently but live in NZ), which is a shame. I did buy a 100g pack of agar and a 25g of kappa carrageenan, which I use in my cheeses but they are never that melty and I am very excited about your recipe as it will have no added coconut oil! 1) Could I just use the agar( maybe an extra tsp in) in this smoked Gouda recipe? 2) Will it not be enough to set it and get it stretchy and melty? I know you had six attempts at making this cheese and I am wondering how you got to using pectin, was it a cost issue? 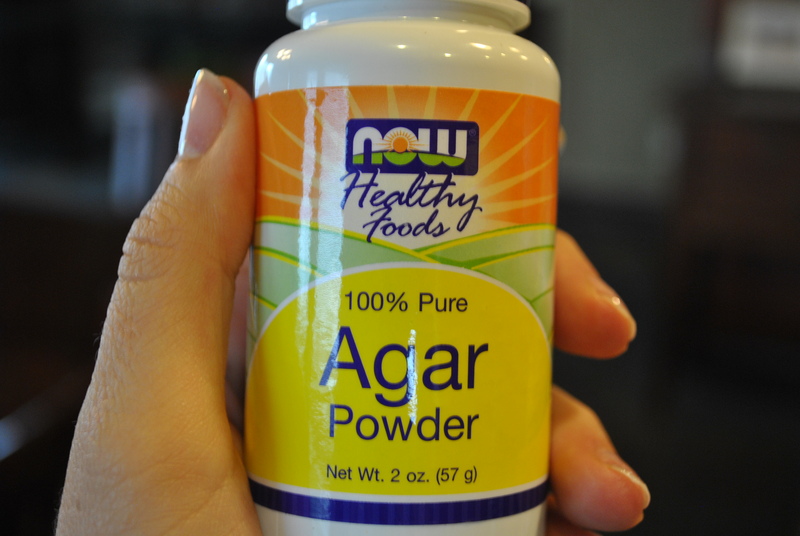 Agar is cheaper than carrageenan here. I know carrageenan powder is controversial, some people do not eat this one as there are health issues with it but when I did a bulk order, I thought I would buy a bit of it. I also noticed that you do not cook the starches at all, most recipes I have made ask for those to cook for 5 minutes or so. 3) Am I correct that you do not cook them because the pectin and agar combined are enough to give you the stretchy, melts consistency or what is the reason please? It is me again, sorry! I have seen you use pectin in a cashew nut cheese recipe where you “did” use the calcium powder that comes inside the Pomona box. I am pretty sure that one of the comments for this Gouda cheese you answered that you do not need the calcium powder I. This recipe. Could I use just pure pectin powder from an available brand here? I know you have only used Pomona and could not really say but do you see my logic here? I have another smoked Gouda recipe on my site that doesn’t require pectin. I believe it’s linked in this post.